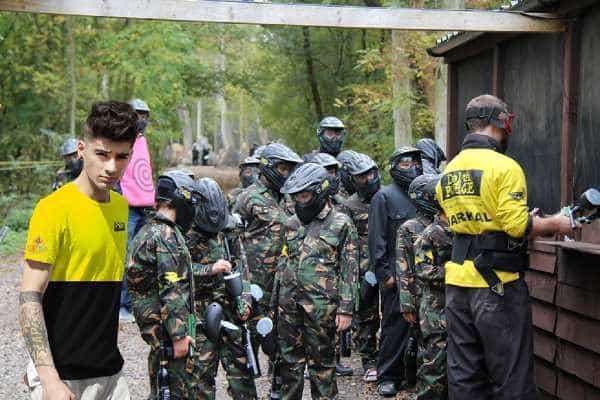 Is Zayn Malik about to join the Delta Force Paintball team? Following his recent departure from heavy metal band, One Direction, Zayn Malik was keen to explore alternative career options to fund his tattoo addiction. Fortunately for Zayn, Delta Force Paintball was more than happy to offer him an interview for work at one of our UK paintball centres. Zayn’s decision to leave One Direction came as a shock to many fans, with parents worldwide struggling to console their emotionally distraught teenage daughters. If you are looking for a great day of paintballing action, feel free to give our events coordinators a call 24 hours a day on 0203 869 9301. Not only can they answer any questions you may have, they can also organise your booking over the phone.